RedSnowLtd – The GOP’s Next ronald Reagan? The GOP’s Next ronald Reagan? She had neither the cash nor the political infrastructure of her opponents, yet Sarah Palin became an overnight sensation. Her star power assures she’s got a future in the national conversation. Republicans may have been outspent in the 2008 election, but there are some things money can’t buy. 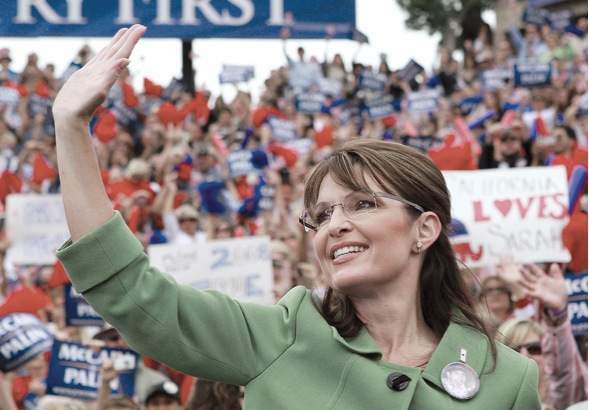 Energy, charisma, star power: the kinds of things Sarah Palin delivered to the GOP ticket. That has many in conservative circles calling her the GOP’s next big thing. When Palin brought a listless GOP convention to its feet in St. Paul, Minn., a new Republican star was born. Not since Ronald Reagan galvanized the 1964 GOP gathering has a new political face energized a convention the way the feisty Alaska governor, known affectionately as “Sarah Barracuda,” did. Spirits soared. And for a while, at least, so did poll numbers and fundraising for Sen. John McCain. Small wonder then that conservative insiders already are planning to leverage Palin’s popularity as they attempt to regroup in the wake of the election-night loss. Charles Dunn, dean of Regent University’s School of Government is among those who believe Palin’s presence on the national stage is just beginning. Her demeanor and down-home feel resonated with many Americans and, if she plays her cards right, she could become a staple of Republican politics. “Sarah Palin kept her end of the bargain. She galvanized the base, brought out big crowds and increased fundraising,” Dunn told The Bulletin in Philadelphia. “The McCain campaign put her in a prison cell and locked the door for several weeks, and that allowed the media to mount criticism she was not conducting interviews,” Dunn said. “If they had let her loose on America, she would have become a major public figure.She is the next Ronald Reagan if she wants to be,” he said. “She is very ambitious,” agrees pre-eminent election watcher Gerald Rosenberg, associate professor of political science at the University of Chicago. In the short term, Palin will return to Alaska to continue serving as governor while eyeing, many speculate, a run for Senate. She also will continue to tout her knowledge, passion, and ability to connect with voters through efforts such as helping special needs children and, perhaps, some type of energy initiative, Rosenberg tells Newsmax. Rosenberg says Palin has a masterful ability to “rev up the base” and that such a talent in the aftermath of a Republican defeat will be a highly valued tonic in some GOP circles. Fowler tells Newsmax that Palin’s effect in the election was clear: She effectively mobilized key elements of the Republican base. Palin’s strength centers on what many call her ability to be a “living-room candidate” — someone who can connect with people both in person and through the television. She projects confidence. Joseph DiSarro, who heads the political science department at Washington & Jefferson College in Washington, Pa., was in the audience at the Washington Wilds baseball field on Aug. 29, when Palin was introduced to an enthusiastic crowd as McCain’s running mate. Palin eventually could run for Senate, all the while returning to what she did before being the vice presidential nominee: courting the reporters she wants to court and talking to groups she wants to appear before, DiSarro says.